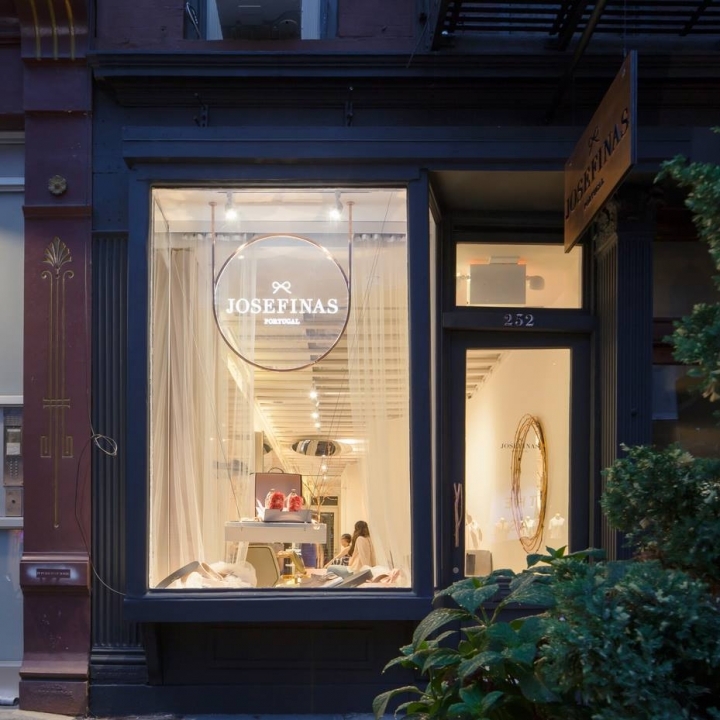 Josefinas Portugal Nolita makes its brick-and-mortar premiere in a feminine space that pays tribute to Portuguese craftsmanship. 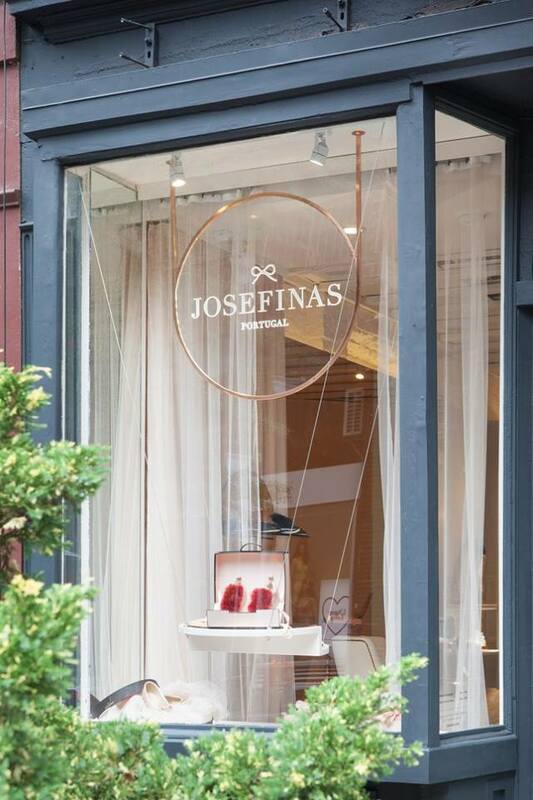 Emerging from an online-only existence, Josefinas Portugal (New York) broke into bricks and mortar in New York’s Nolita neighborhood with the goal of exposing more consumers to its brand in an environment that represents the humble beauty of its handcrafted ballet flat shoes. 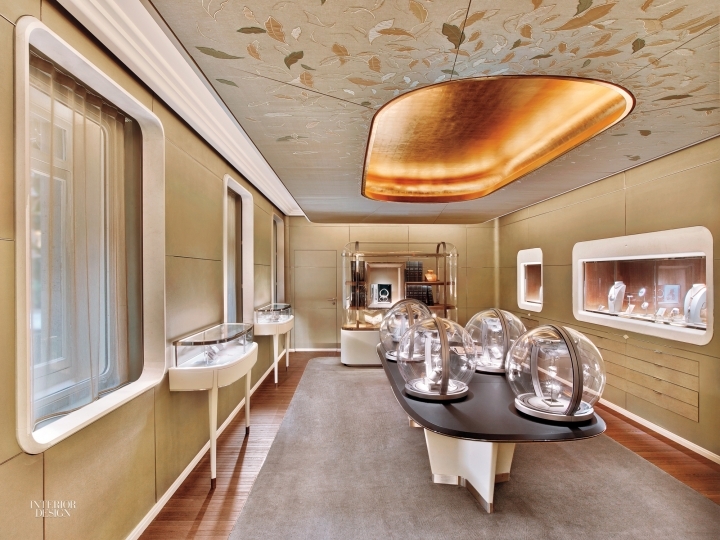 The long, narrow architecture of the store – typical of the locale – was visually expanded with mirror-clad walls, and feminine touches such as mother of pearl wallpaper, plush furnishings and rose gold accents soften the space’s original industrial-style shell. 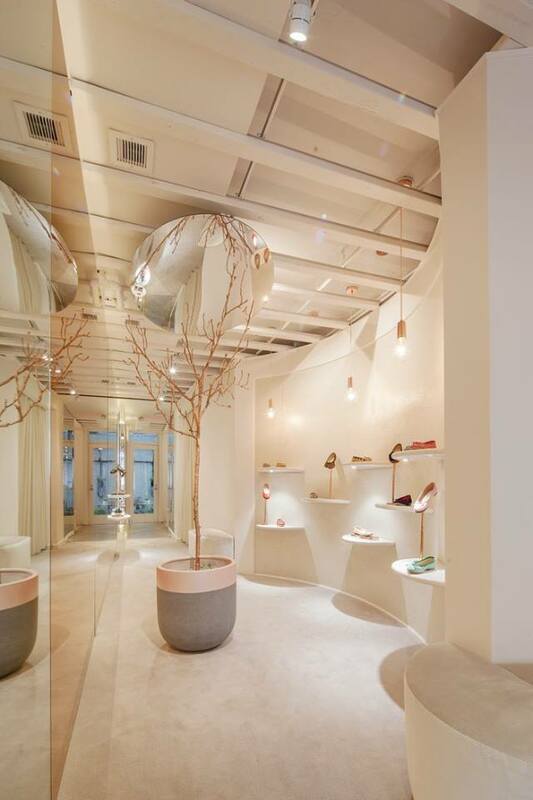 A custom rose gold tree and “branch leg” fixtures, sculpted by a Portuguese artisan, tie into the retailer’s heritage and act as subtle focal pieces. 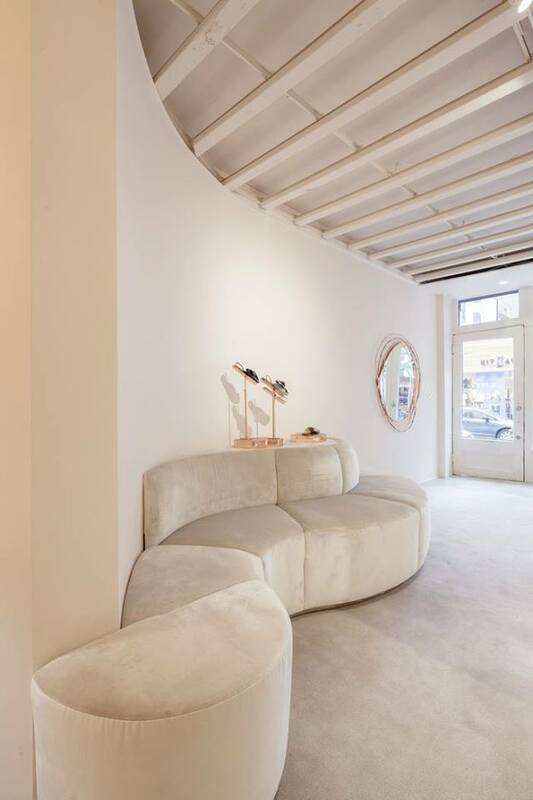 “The store speaks to the femininity of Josefinas’ world, balancing it with a young, fresh feel, while incorporating the distinctive heritage of the brand through the use of exclusively handmade design elements that speak to Portuguese craftsmanship,” says Christian Lahoude, principal, Christian Lahoude Studio (New York). The project’s hurdles primarily involved its limited budget, explains Lahoude. Some simple cost-savers included painting exposed ductwork and adding beams rather than rebuilding the ceiling. 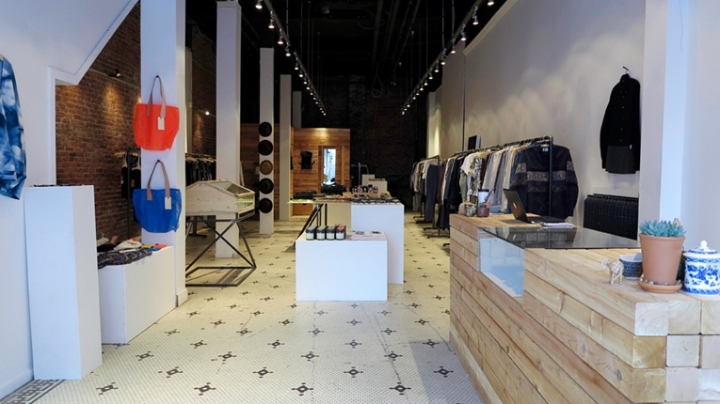 VMSD’s 2017 judges appreciated the interior’s simplicity: “Even though we could say this appears to be a fairly traditional retail space, their interpretation of the space and experience is pretty innovative,” said Bink Zengel, vp – brand experience innovation, marketing, Luxottica (Milan).